The thirteenth version of OS X got a name change to macOS, also called Sierra, and just like its two predecessors Apple (NASDAQ:AAPL) has decided to keep the alpine theme with its latest operating system. But the feature that is getting the most attention right now is the availability of Siri for Mac. Artificial Intelligence (AI) is the technology everyone in the tech world is trying to incorporate into the solutions they offer. With Cortana fully integrated into Windows 10, the addition of Siri on the Mac was only a matter of time. After almost five years on iPhone, iPad and even on Apple TV, Siri has gained enough experience as a virtual assistant to hopefully carry out many of the tasks on Mac computers with relative ease. The full capabilities of Siri were not displayed at the recent Apple Worldwide Developer Conference 2016, but there is enough information between the keynote and the Sierra preview on Apple’s site to give a peak at things to come. With Siri for Mac, you can perform one task and ask Siri to do another without stopping what you are doing. Another feature is being able to find documents on your Mac with different search parameters. This ability also extends to searching for images online, which you can then drag and drop into the app of your choice. This is the extent of Siris capability Apple is willing to make public right now, so stay tuned. The expectation of the Apple Watch far exceeded the actual demand, but Apple is not giving up on this technology. Apple Watch OS3 was announced at the Worldwide Developer Conference, along with an Auto Unlock feature which allows Mac owners to forego the tedious process of entering their passwords after the screen goes off. This is a new way to sync your copy and paste data between devices. If you are tired of emailing or even sending text, images, photos and video to the cloud so you can access it on another device, Universal Clipboard will do it for you without going through all those steps. You can now copy and paste between your Mac and your iPhone and iPad with apparent ease. The new optimized storage on Sierra will clean up files you don’t need while archiving what you want to keep in iCloud in less space than before. It frees up space when you start your Mac as it reminds you to delete used app installers, clears out duplicate downloads, caches, logs and more. Sierra now lets you float video from one application to another. You can take a video from Safari or iTunes in a window while you are working on your desktop. You can resize, drag and pin a video to any corner of your screen. The Tabs feature in Safari can now be accessed on Mac apps that support multiple windows. This feature will be available without any specific developer modification. You can copy and paste between Pages documents in full screen, or jump between multiple email drafts. Some of the apps include, Maps, Mail, Pages, Numbers, Keynote and TextEdit, as well as some third-party apps. 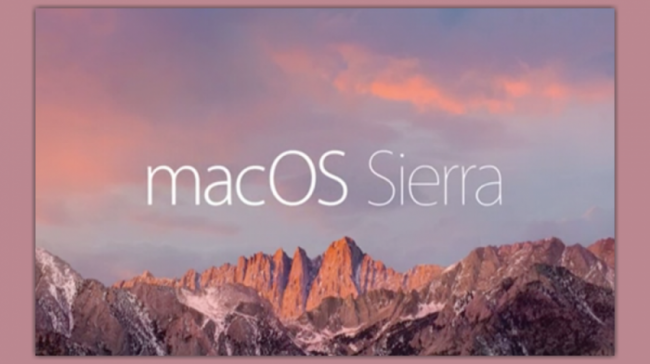 Apple released the first beta of Sierra right after 2016 Worldwide Developer Conference on June 13, and the public beta will be released in July 2016. End users can expect the full version in fall 2016, which will be available as a free upgrade through the Mac App Store.